Illuminate your event with LED Furniture! 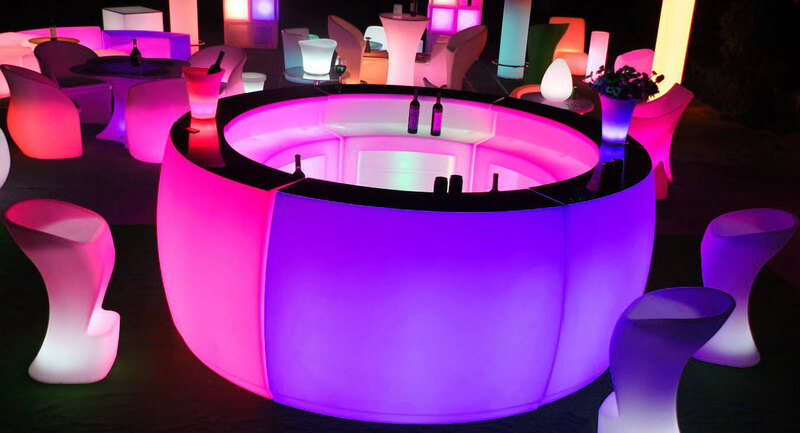 If you want to make your event really stand out from the crowd, then LED furniture hire is definitely the way to do it. Imagine the scene, your party, outside at night, the only light coming from the bright LED pieces dotted around. Don’t think it can be done? You’d be surprised. 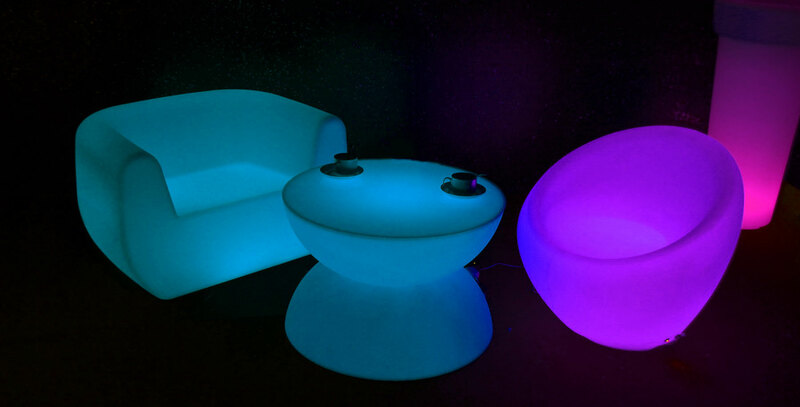 LED furniture has come a long way since boring old cubes were the only product available. 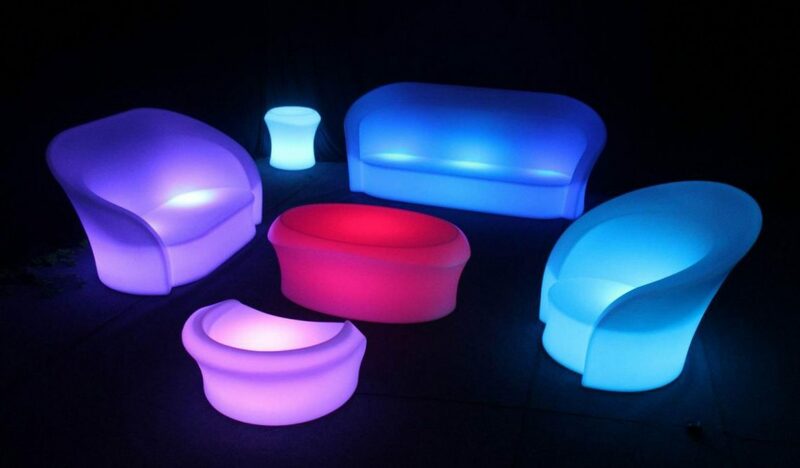 Party-goers are using LED furniture in many different ways. They are great for brightening up gloomy venues, adding intrigue and remain a talking point for months in advance. Space themed parties can be enhanced with LED furniture, 90’s discos lend themselves perfectly to LED accessories, and night-time events are instantly transformed. Nowadays, if you haven’t kept up with the progress of LED furniture, and let’s be honest, who has, you’d be amazed at the products available. Each one of our products comes with a remote control and can be set to stay on a specific colour or you can opt to swap between colours. A table is a just a table right? Wrong! We have eight types of tables, including bubble, coffee, dining, tea, poseur and hexagon-shaped. You can instantly set the tone of your event by the choice of your tables. For example, set a contemporary theme by using LED tea tables to create an ultra-modern tea dance. Or pick our low-rise coffee tables for a laid-lack vibe. Our poseur tables are perfect if you want a sophisticated atmosphere for a music venue. And brides who want their reception to be a different from the norm, our LED dining tables provide a real wow factor. As with our selection of tables, we offer eight different types of seating and all of them can be mixed and matched with the above products. From corner sofas to benches, straight sofas and dining chairs, it’s easy to compliment with other products. Use our corner sofas and bubble tables to create intimate areas in your party. 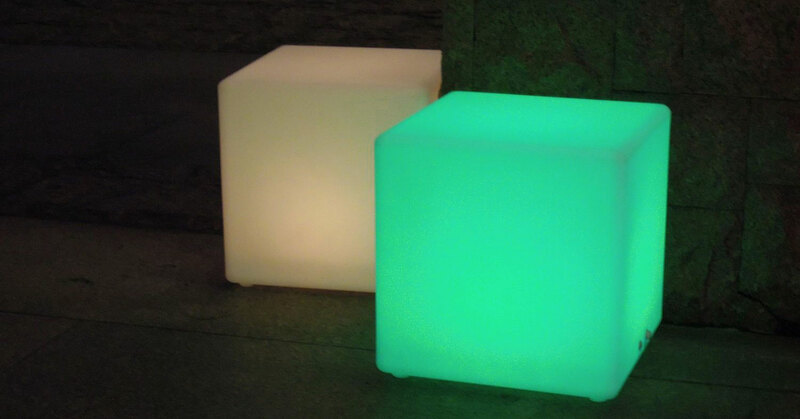 Why not use our LED cubes instead of hay bales at a barn dance or line dancing event? LED benches provide not just seating but light in an outside event. You can use them in various formations, for example, in lines in front of a staging area. What better way to focus the party of event by hiring an LED bar? We offer two types, a round or a modular bar. You can make the bar the main star of the show, or to compliment the event. Fix the colour of the bar to match your colour scheme or set it to switch through the colour cycles. Not everyone wants the full LED furniture package, and this is where LED accessories come in. If you are a little nervous about overdoing it on the furniture side for your event, why not pop a few LED accessories into the mix instead and see how your guests react to them? 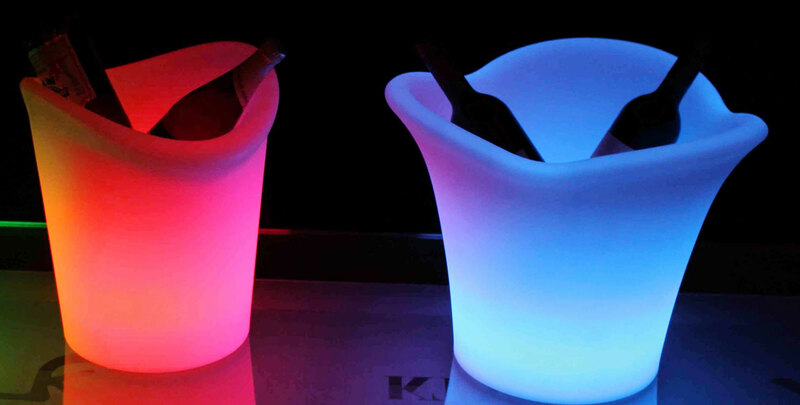 Our accessories include LED ice buckets, pillars, plinths, even table lamps! We have found that the best way to use LED accessories is to pick one or two, and use them extensively through-out your event. For example, if you choose the table lamps make sure every table has one for the maximum effect.